There are now 21 poultry facilities in 10 counties with either confirmed or presumed positive cases of the avian influenza. The following counties are affected by the outbreak: Buena Vista, Cherokee, Clay, Kossuth, Madison, O’Brien, Osceola, Pocahontas, Sac and Sioux. 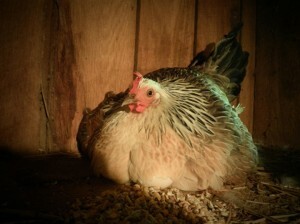 • the regulatory provisions pertaining to hours of service for commercial vehicle drivers hauling poultry carcasses infected with or exposed to highly pathogenic avian influenza or while hauling loads otherwise related to the response to this disaster during its duration, subject to certain conditions outlined in the disaster proclamation, are temporarily waived. 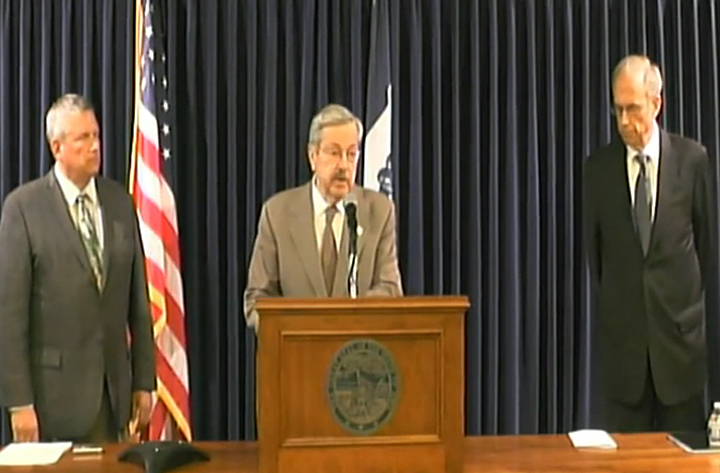 Scroll down to see Branstad’s entire press conference. The story continues below that. “The avian bird flu has drastically affected the Fourth District of Iowa with the loss of 15 million birds. All but one of the reported incidences in Iowa are in my district – the number one egg producing district in America. “I have personally been on site to see firsthand the damage done to our poultry producers and continue to be on daily conference calls with officials to figure out how we can best combat this outbreak. I encourage everyone to take this situation very seriously and use the necessary and recommend precautions. Although available federal resources appear to be adequate even for the massive scope of this disaster, I have been pushing hard every day for more and better methods for disposal and cleanup. 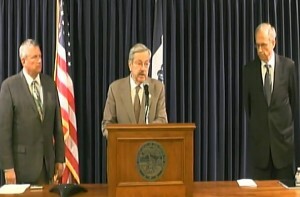 “If we are to save and rebuild a very important Iowa industry, there remains two very big questions. How is it spread and under what conditions? How can we prevent this from happening again?